Bloomington is more than the home of Big Ten school Indiana University. It is more than the place people visit for the bar and sport scene. It is a diverse city that provides a rich culture for students, families, and Cutters/townies alike. It spans miles and miles in all directions and has many different ways to get from one place to the next. Some individuals prefer to get exercise or possibly work on saving the environment by biking. Many students bike around campus as a quicker way to get to class and avoid the bus rush. However, construction and traffic do not always allow for smooth traveling and students do ride outside of the bike lanes. Interesting fact – it is illegal to ride bikes on the sidewalk so just be aware of that! There are also trails around town (especially towards the West side) that are fun to explore! Others who live on campus and do not own or want a bike, walk. I lived on campus for two years and walked everywhere everyday. It was a great way to learn all the shortcuts on campus and avoid the rush and stress of catching the bus (especially if you’re running late). 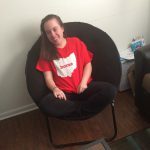 When I was finally settled in after moving from home to the dorm my freshman year – Spruce Hall – I walked for hours around campus to learn all the buildings, and easiest ways to get from one place to another. It was my saving grace as I have had to go to all kinds of different buildings over the years. For the students who want a night out, Uber or Lyft are great choices. 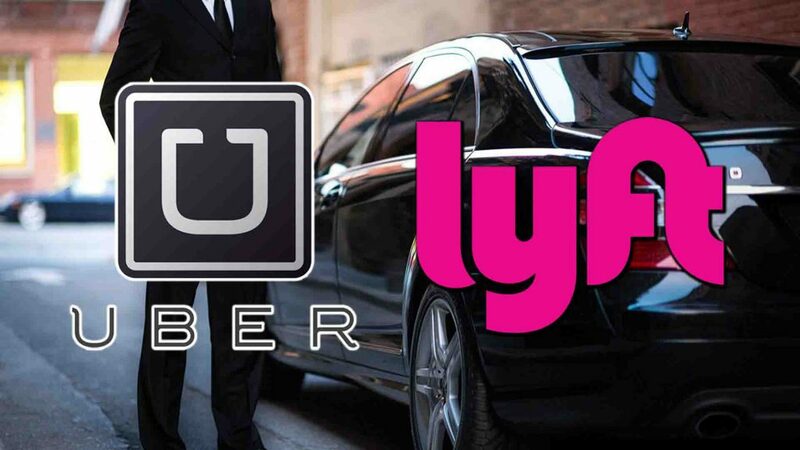 These are ridesharing services that cost money but can get you safely from one place to the next typically. The drivers are even rated by you! 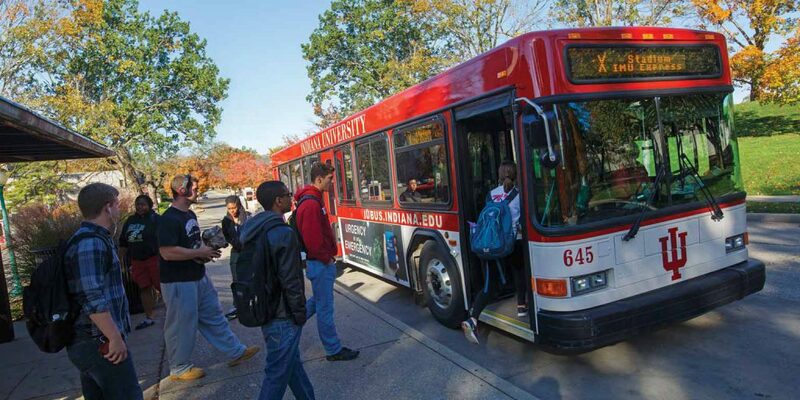 There is the IU campus bus system that drops students off at a variety of places all over campus. It is free for anyone on campus and has multiple routes. The buses run a bit late sometimes, especially with questionable weather. If they are full to capacity or you hate being really close to others, the best bet is to start walking. There are even Night Owl routes for the weekends. Just be aware that IU bus routes do not go all the way to the stadium during gamedays. 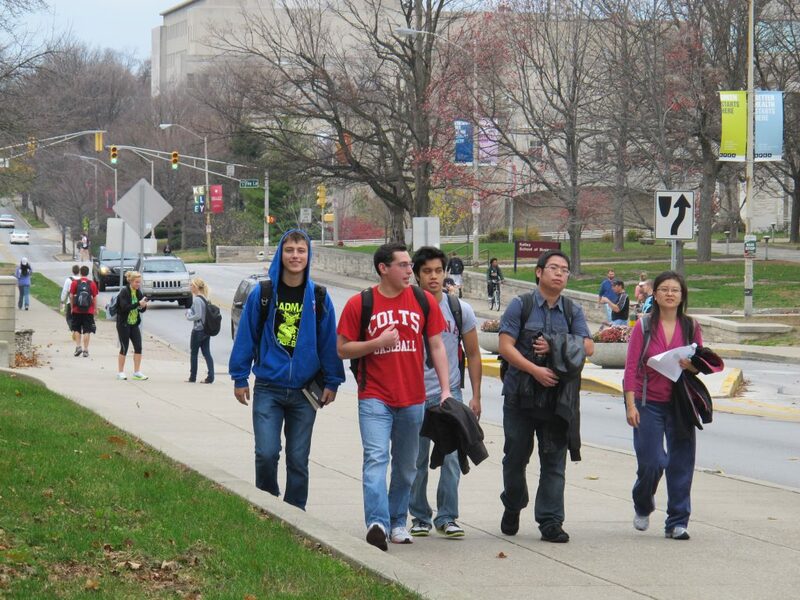 The Bloomington Transit bus system takes students to places on campus as well as off campus. 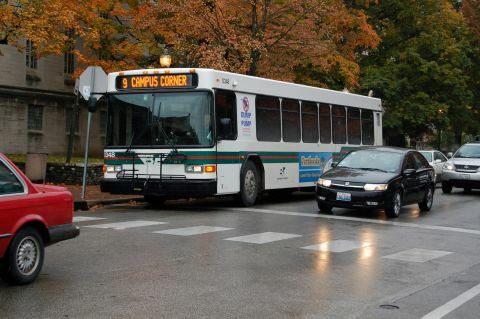 A few of the most popular stops for the Bloomington Transit buses are Wells Library, Sample Gates, IMU, Jordan Hall and various apartment complexes depending on what direction it is going. Bloomington Transit routes 3 & 6 take me to the corner of my apartment complex so I don’t have to purchase a student pass in order to get to campus. Also, Bloomington transit is typically on time. All you have to do is show your student ID and the ride is free, but it costs about $2.00 if that is not applicable. 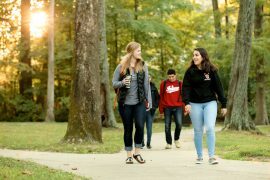 There are many ways to get around campus and it just depends on what you want to do or what is easiest. I have logged miles on miles walking from one side of campus to the next. 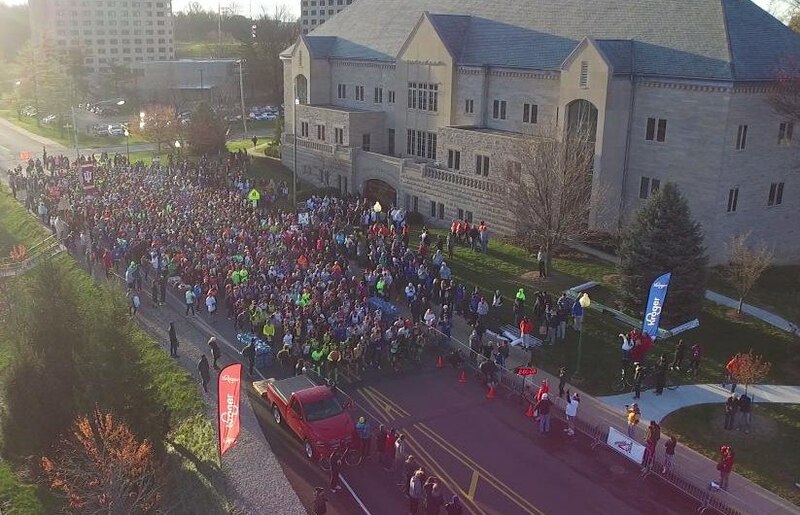 If you weren’t aware, IU is a huge campus and it used to take me around thirty minutes to walk from Spruce Hall to Memorial Stadium/Assembly Hall. I enjoyed it and still try to walk on campus as much as possible. Some prefer the bus system while others prefer to bike. Mixing it up is always beneficial too because you can answer questions that friends/peers/visitors have about getting from one place to another. 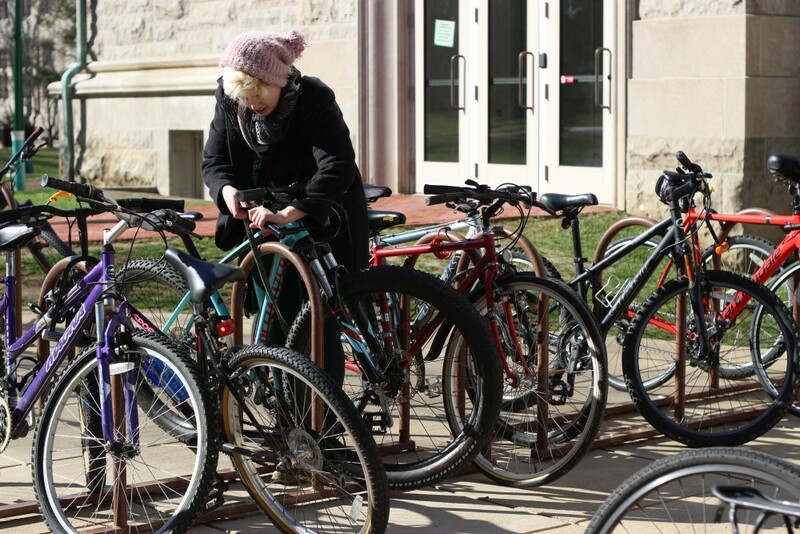 There is no limit to the options of transportation in Bloomington. 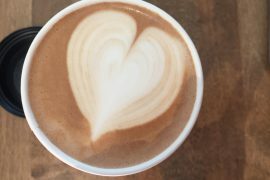 The Best Coffee Places In and Around Campus!